Over the last decade, Pure customers have created vibrant user groups around the world to network with each other, share ideas and give feedback on the product roadmap. The purpose of the Pure User Groups is to facilitate a dynamic community around Pure where power users can share knowledge and engage best practices. 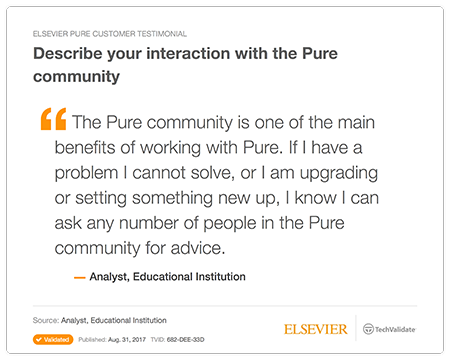 Acknowledging user needs and global challenges in research areas, the Pure User Groups help their members accelerate learning processes within their communities built on an interactive dialogue. Not only do the Pure User Groups enable best practices to be shared within local User Groups, they are also an excellent opportunity for networking within the research management community. The Pure Academy is a global training program designed to help Pure super users take advantage of the features in Pure. This program compliments the manuals and documentation embedded in Pure. 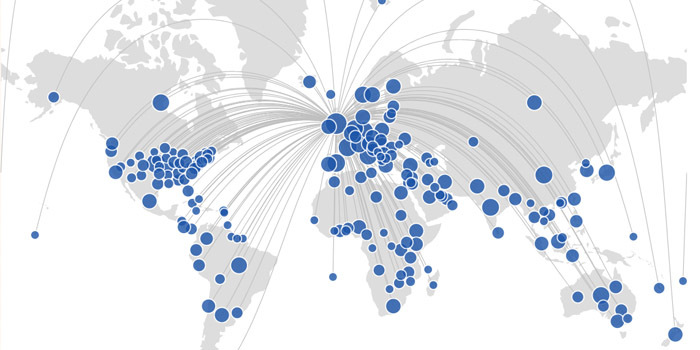 The Pure Portal provides a visually appealing, easy-to-use online solution for researcher profiling and research networking capabilities, making it easier for your researchers’ unique strengths to be discovered.